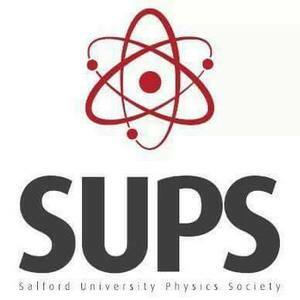 The Salford University Physics Society has a long history. The Society was actually founded by Tony Heyes – who was awarded his BSc in Physics from Salford in 1963 ! We are a constantly evolving group, coordinated through a Committee composed solely of current Salford Students. Our aim is to promote the learning of Physics through additional channels that supplement the formal University degree programmes. For example, we arrange trips to institutions, talks by folk in industry, and conference visits, and we strive to create a strong social network that is inclusive of all the individual year groups of physics students. We also organise regular parties and encourage collaborations with other University Societies. Through the social events we run, we aim to enhance the student experience of our members. Just as important, we provide an informal network of support (to new and old students alike), and act as an effective conduit for engagement with the academic staff. Full Membership £7.00 Access to all events, workshops, and seminars.